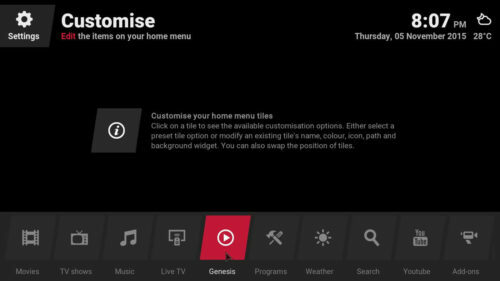 Kodi Eminence Skin Review: a sober and customizable skin. 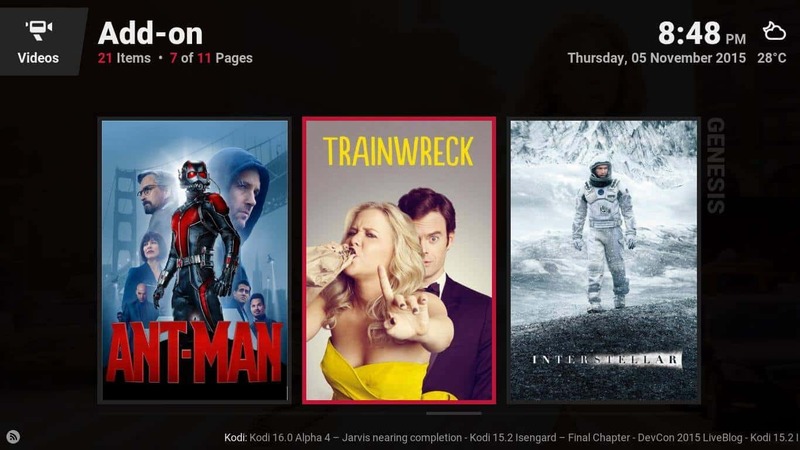 Home Home Media Kodi Eminence Skin Review: a sober and customizable skin. 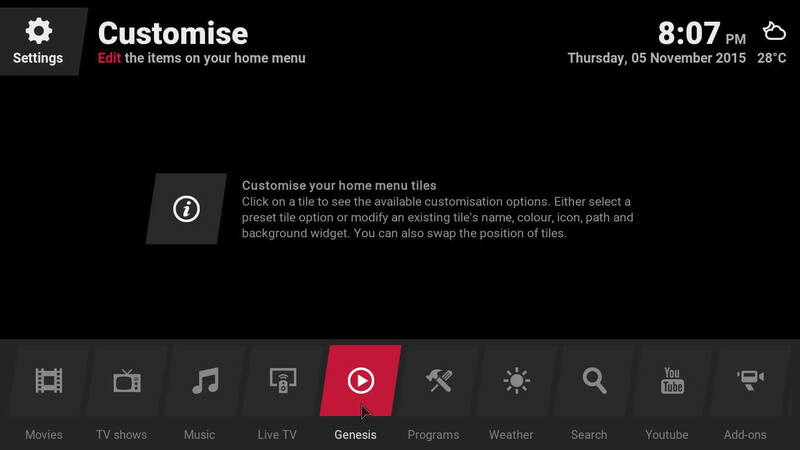 A rather plain and sober interface is what we first see after installing the Eminence skin plugin for Kodi. Configure your Eminence plugin a little, and you can make it look like this (or some other way you like). A feature I like on skins is the possibility of associating your addons to shortcuts that allow you to get to your streams with the least amount possible of clicks and menus inbetween. 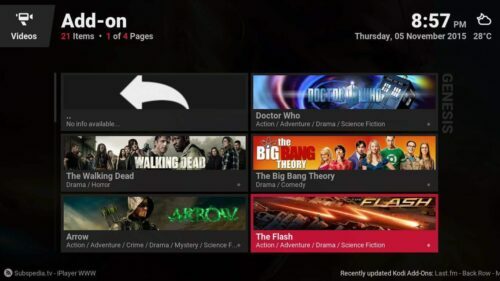 While the Kodi Eminence skin doesn't allow you to readily associate a specific section of your addon (for example, Most Popular movies on the Genesis addon for Kodi), you can still associate the addon to a button on the main menu, and even customize its name and how it looks. You can associate addons to shortcuts and set them anywhere on the bottom bar with the Eminence skin. The icons for addons can be changed; there are several nice-looking default options. In the main menu, you can also customize how the background looks like, with a slideshow of pictures or some included widgets. There are quite several options to make it look pleasant to the eye and functional at the same time. During playback, you get some useful controls such as rewind and fast forward buttons, and the usual pause, play, stop; however, the seeking bar doesn't work, so if you plan on using the Kodi Eminence skin, good luck skipping to your favorite parts of the movie. Several ways to interact with your media during playback; except a functional seeking bar. The posters visualization is neat, though it only lets you see three options at once. I find the wall visualization to be rather convenient for browsing your media in an efficient way. 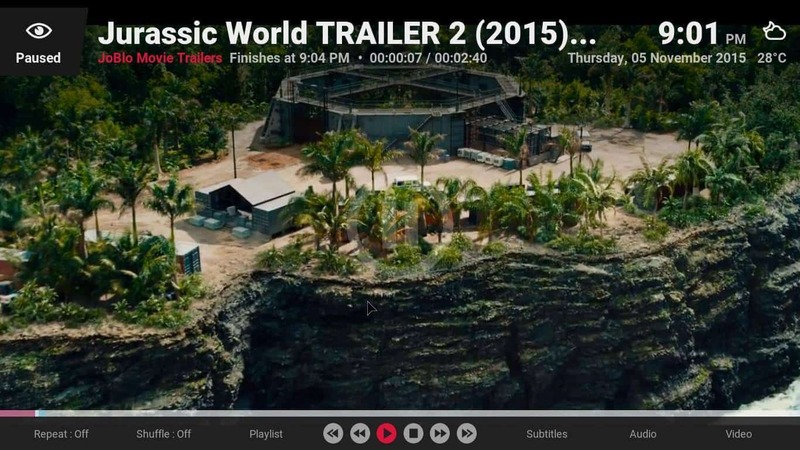 Lovefilm is a neat visualization on Eminence Kodi skin, but only lets you see one item at once. 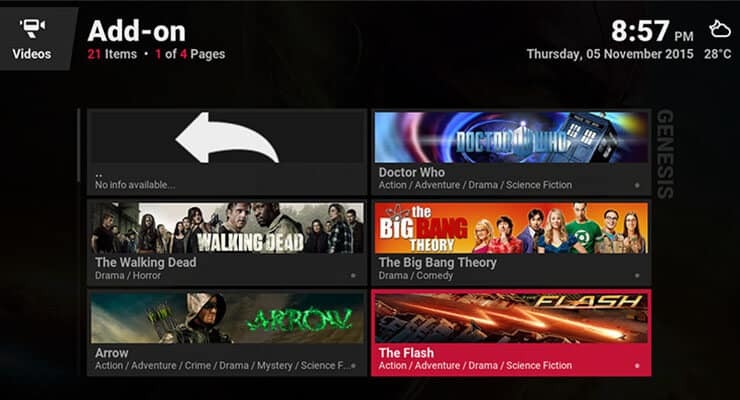 You could use the banners visualization to browse TV shows faster (or movies). 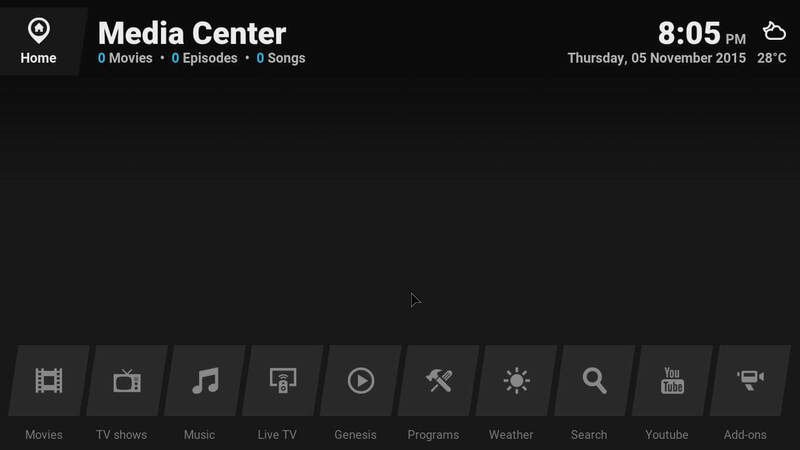 Do you recommend the Kodi Eminence Skin? 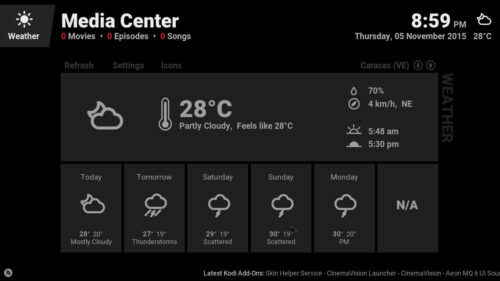 The weather page follows the same simplistic yet elegant approach present throughout all the skin screens. 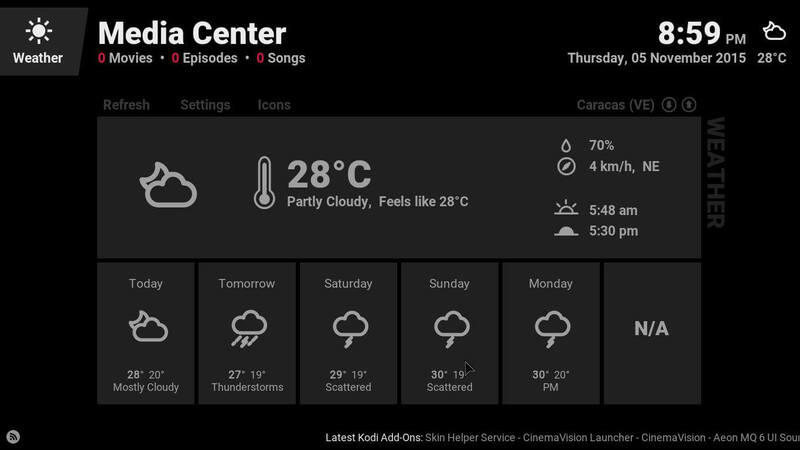 Aside from some occasional glitches while configuring it with my mouse (some two-level menus didn't let me move freely on the second level, and the on-screen back button worked occasionally), I must say this touchscreen Kodi skin looks very nice. 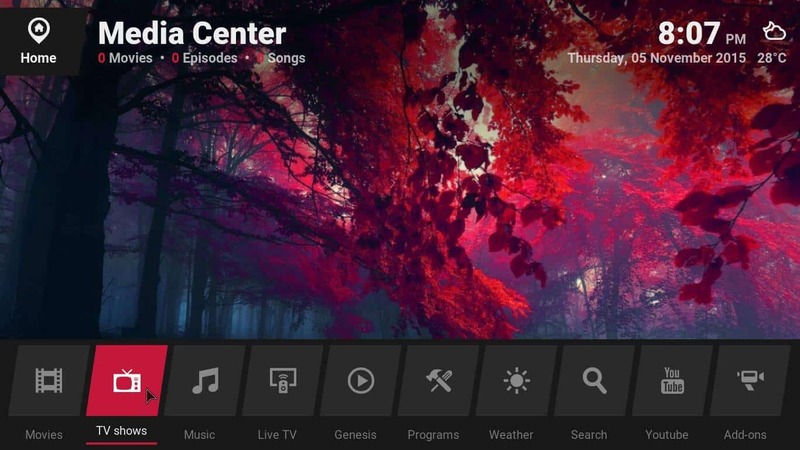 The transitions are smooth and almost invite you to change menus just for fun, the skin has a sober look while still being customizable and functional, and it doesn't affect the performance of your Kodi HTPC at all; in fact, it would seem it is even faster when you use this skin. 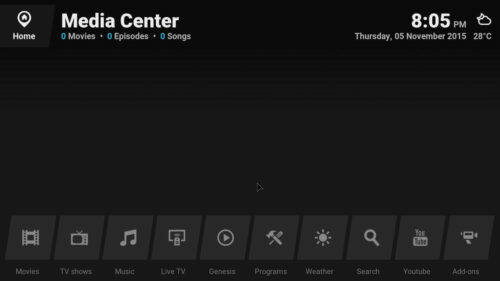 One aspect I disliked of the Kodi Eminence skin was the lack of seeking bar functionality during media playback, but I consider that to be a minor issue. If you need more suggestions about skins, I recommend you check our earlier reviews on Back Row Kodi skin and Nebula Kodi skin, two great skins that bring even more customization options to your Kodi HTPC.